Scams involving fraudulent cashier’s checks are common, with many victims losing thousands of dollars. Here is what you need to know about cashier’s check scams and how to protect yourself. 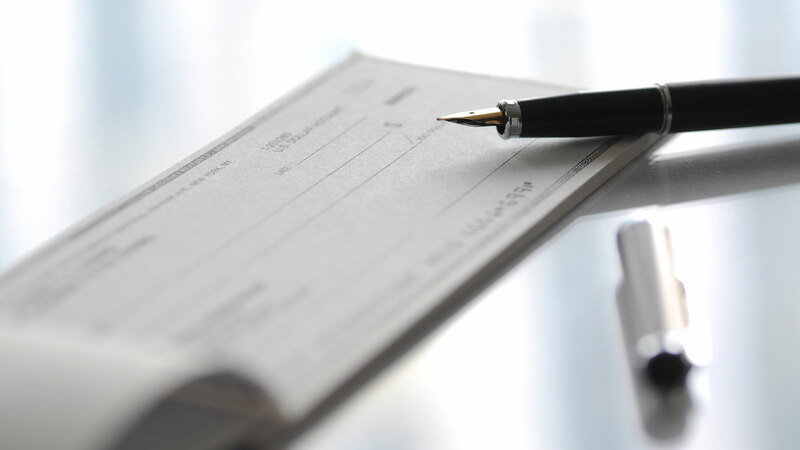 Cashier’s checks are checks guaranteed by a financial institution, drawn from its own funds and signed by a cashier or teller. Cashier’s checks are typically deemed a safe way to make a large payment on a purchase. The difference from a regular check is that the bank guarantees its payment, not the purchaser. However, be aware that a financial institution may issue a stop payment on a cashier’s check under specific, limited circumstances in compliance with the Uniform Commercial Code, typically for lost or stolen cashier’s checks. Don’t assume you have the funds until the cashier’s check has cleared. If a cashier’s check is not genuine, and, you unknowingly accept a fraudulent cashier’s check in exchange for goods or services, you will likely be the one who suffers financial loss. Cashier’s check scams almost always involve someone giving you a genuine-looking check or money order and asking you to either wire money to them or send them goods in returns. After you deposit or cash the check or money order and send the money, you learn that the check sent to you was fraudulent. Be cautious about accepting checks, even a cashier’s check, from someone you don’t know. If the check is a scam, it may be difficult to pursue a remedy. Call or visit the branch of the financial institution on which the check is drawn on. The financial institution should be able to help you determine whether or not the check issued is genuine. Don’t trust the phone number for the financial institution listed on the check, it might be fraudulent. Do your research and find the real phone number of the institution. Call your financial institution and verify that the check has cleared and the money is in your account. Save all documents associated with a cashier’s check. This paperwork may be helpful if something goes awry. You receive payments via a cashier’s check and you’re supposed to deposit the payments to your account and forward the money to somebody else. Often advertised as a work-at-home check processing job, these schemes are often problematic. In some cases, you’re laundering money for criminals. In other cases, the first few payments are fine, but eventually you’ll get a fake check (after they’ve gained your trust) and you’ll lose money. You are informed that you have been chosen to act as a mystery shopper. You receive a cashier’s check and are told to deposit the check into your account. You are instructed to use a portion of your funds to purchase items at designated stores, transfer a portion of the funds to a third party using a wire service company, and keep the remainder. The cashier’s check turns out to be fraudulent and you are out the money you have spent and sent. You sell products and a buyer sends you a cashier’s check for the price you have agreed on. You ship the goods to the buyer and find out that the cashier’s check is fraudulent. You have won a foreign lottery or someone related to has died and you have inherited a bunch of money. The letter you receive usually comes with a cashier’s check. It says the check is to help cover the taxes and fees associated with claiming your prize money. You just need to deposit the check into your account, and wire part of the money to cover those taxes and fees back to the people who sent it to you. You get to keep the rest of the money you deposited, and the full amount of the prize money you’ve “won.” Of course the money you are promised never shows up, and you are out the fees you have paid. Somebody looking to rent your property is willing to pay the first and last month of rent (and security deposit) with a cashier’s check before they ever see the property due to purportedly taking a new job. The day after you deposit the check, they say there was an issue with the job – they’re not coming, so they don’t need the rental. You can keep the security deposit, but they’d like for you to return some of the rent. After you send the refund, you’ll find that the check was a fake.